GD Goenka Toddler House curriculum is scientifically developed through research and development by psychologists and the best child specialists who understand the stages of development and developmental milestones. It is aimed at creating a vibrant, joyous and stimulating learning experience for the child. 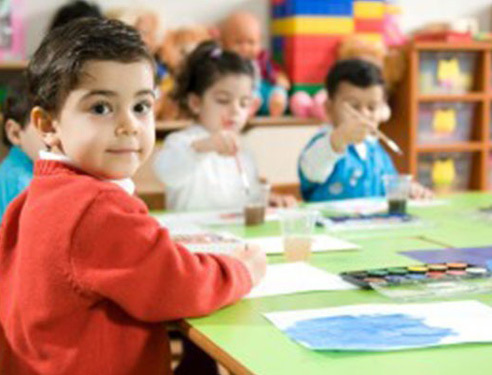 At Toddler House, we believe in giving every child the space and time they need to learn new things and provide an environment where each child, with their unique personality can blossom. Our International curriculum provides the right inputs to help the children grow holistically into caring individuals. It equips them to make the right choices in life and grow up to be responsible global citizens. Our curriculum comprises activities that foster the child’s skills to work with others, play cooperatively, help others, have a sense of empathy, and be part of a team. It helps the child develop respect for everyone around, exhibit gratitude for a beautiful life, learn to forgive, extend love and compassion, enjoy the freedom to explore and express, celebrate the joy of existence, imbibe a sense of responsibility and thoughtfulness, and practise honesty in thoughts and actions. Our thematic approach to teaching involves integrating all subject areas together under one theme. It crosses over subject lines and helps children relate basic academic skills to real-world ideas. Through meaningful activities, the themes connect the different learning domains such as Music, Arts, Physical Education and Health, Language and Literacy, Mathematics, Science, Social Studies, and Value based Education. Phonic approach to learn Language skills with emphasis on pronunciation and diction. Reading corners trigger inquisitive minds and inculcate love of books. Our Unique learning environment sparks physical growth and discovery. 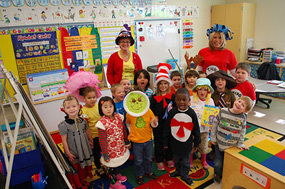 Yoga, singing, dancing, drama, role play, story time are an integral part of the curriculum. Celebration of birthdays, festivals and special days for cultural awareness. Our curriculum comprises activities that foster their skills to work with others, play cooperatively, help others, have a sense of empathy, and be a part of a team. ​Sensory play is an important part of early childhood development. From birth to early years; children use their five senses to explore and try to make sense of the world around them. ​Sensory play is an important part of early childhood development. From birth to early years; children use their five senses to explore and try to make sense of the world around them. We provide opportunities for children to actively use their senses as they explore their world through ‘sensory play’ which is crucial to brain development. Vocabulary expands from a few hundred words to a few thousand words and comprehension takes off during the preschool years. Vocabulary expands from a few hundred words to a few thousand words and comprehension takes off during the preschool years. Our preschool programs and curriculum provide children with opportunities to integrate listening, speaking, early reading, and writing into daily activities. ​Artistic exploration encourages important skills such as creative thinking, adaptation, problem-solving, innovation, and follow-through. ​Artistic exploration encourages important skills such as creative thinking, adaptation, problem-solving, innovation, and follow-through. Our preschool teachers nurture children’s own artistic abilities and help them appreciate art in the broader world by engaging in diverse creative experiences. Art, craft, music, movement, storytelling, puppetry, role play, play dough, origami are an integral part of our curriculum. 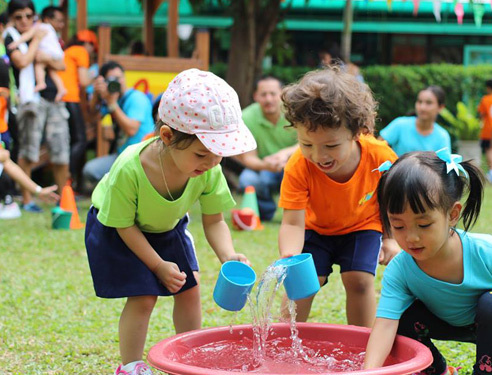 ​Life skills programming is an important part at Toddler House preschools. Life skills at this age encourage independence and foster positive self-esteem. ​ Life skills programming is an important part at Toddler House preschools. Life skills at this age encourage independence and foster positive self-esteem. Children master skills needed for future success. Our Life skills activities strive to provide children with the practical skills of daily living. 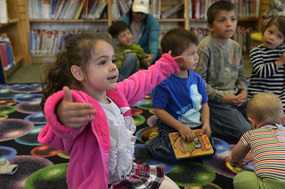 This program provides an environment where children are encouraged to develop respect, responsibility and independence.